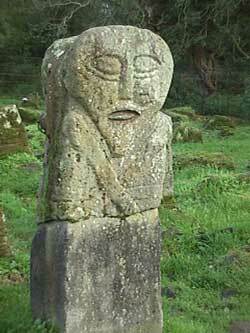 This two faced Janus figure has been watching the sun rise and set over Boa Island for several thousand years. 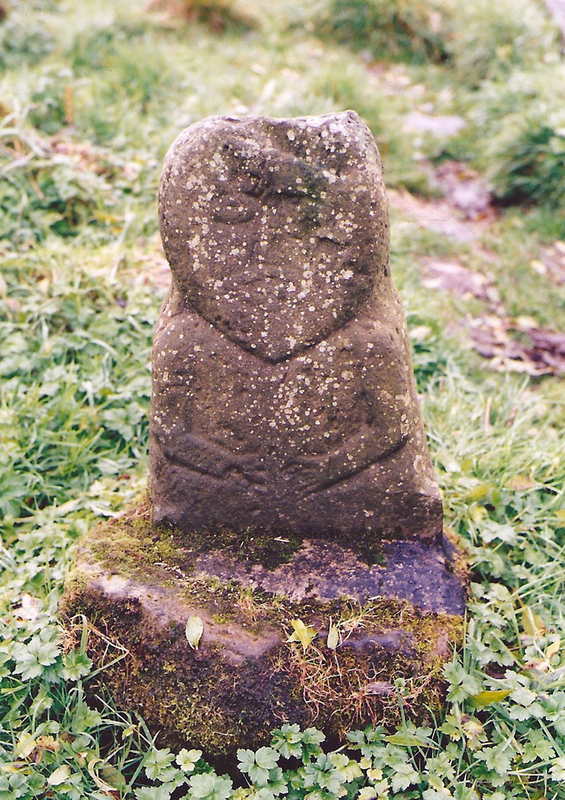 He’s about four feet high and is perched in a lumpy, ancient cemetery in County Fermanagh – Caldragh Cemetery. Boa Island is a small island off the shores of Lough Erne, and Caldragh is a place of high earth energy. There is little known about this figure – referred to as the Janus figure because like “Janus” the Roman god with two faces, this figure has a front and …. well … a front. What you see in this image to the left is one side. The other side is also a front view with a face (see image below). 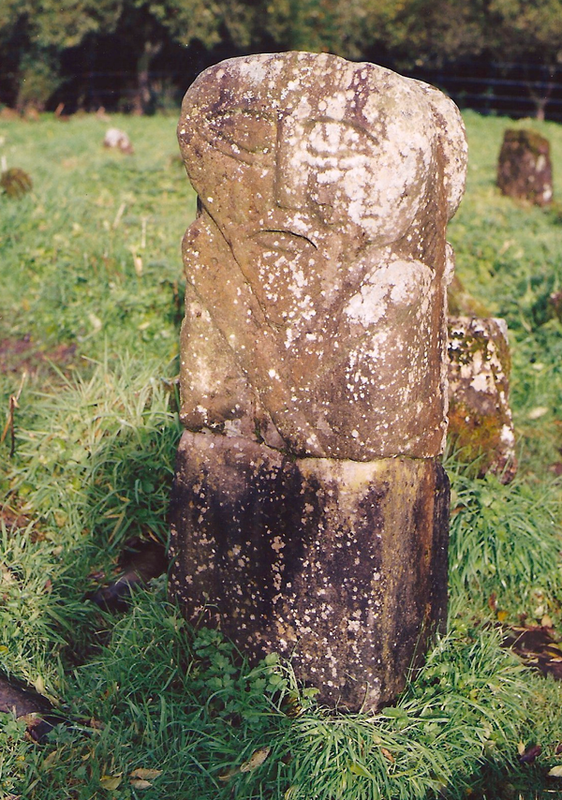 Locals found a piece of stone nearby that apparently used to serve as a base for this figure which would have made the Janus figure more life size when it was originally carved. No one knows exactly how old the figure is, or where it came from or what it means. Near the Janus figure is a smaller, shorter figure that has a similar, sort of heart shaped face. But this little guy only has one face and appears to only have one eye – sort of blinded in his left eye. He is referred to as “the Lusty Man” ..not for any reason to do with lust or sensuality, but because he was found sitting all by his lonesome self in a marshy field on nearby Lusty Beg Island. He was relocated to Caldragh cemetery to keep him protected in a proper setting. The two figures are anchors on this ancient burial ground. They stand above the ruts and lifts and random stones that mark now-forgotten dead. There is a remarkable presence in this untidy cemetery. The cemetery has amazing energy that draws people to it, even though it is one of the hidden sacred places not often found in the guidebooks. If thin places are places where we are more in tune with God and eternal world, then Caldragh is paper thin. Boa Island is one of several island in Lough Erne, but it is connected to the mainland by a a causeway and single road that runs from one end to the other. It is off this road that a marker sign subtly identifies the cemetery. 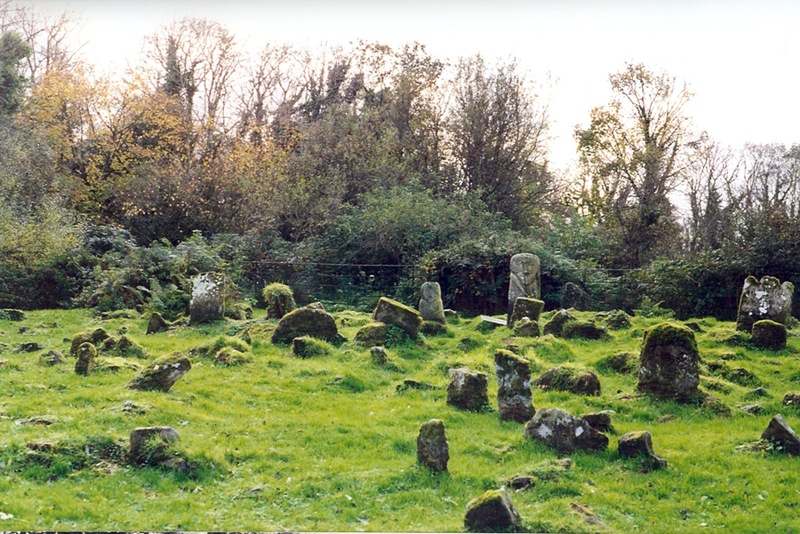 The word caldragh was often assigned to Irish cemeteries that were not consecrated ground (by the Christians). 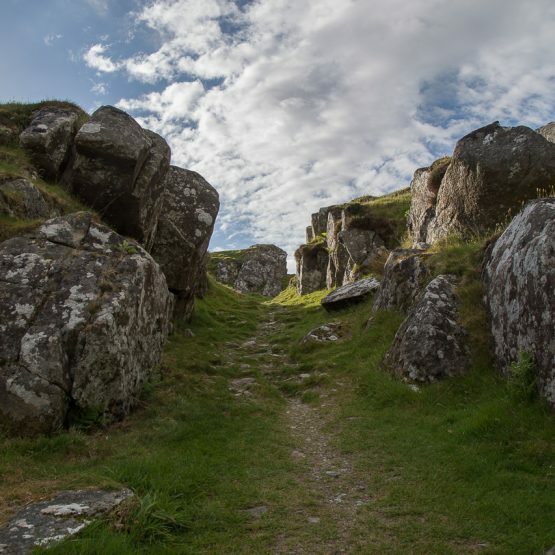 These cemeteries were might be pagan, or places where unbaptized people or outsiders were buried. It certainly has that forgotten feel, but forgotten like a misplaced loved one, whose soul calls out to be found. Using a pendulum, the Janus figure swung anti clockwise, while the Lusty Man pulled it clockwise. (In energy terms, anti clockwise opens an energy, while clockwise direction closes it). Last time I was there, the cows in the nearby field starting mooing very loudly as I used the pendulum – almost as though they too, could feel the energy opening. And a large white feather fell out of the sky, even though there were no birds around. Thin places are places where we are more in-tune to God, the God of the Universe, the one loving creator that binds people of all faiths, all souls together into one connected family. Thin places lead us to truth, wisdom and purpose. But sometimes it’s hard to figure out what we’re supposed to learn of be led to. Use these five keys for traveling to thin places. They unlock insights. Trace the route that brought you to the thin place. How did you get there? How did you hear about this place? Who led you there? Notice the signs as you enter. Sometimes things you see or encounter as you approach or enter a site will have meaning later. Take in the details. Look at the borders. Study with your five sense. Be still, don’t move. Just notice the details. Record your memories during or soon after the visit. In a journal write down the answers or notes from keys 1, 2, and 3. Also note how you feel, what you sense apart from your five senses. Write the date and time you were there. Record the names and details of key people you met or encountered at the site. Build your internal gateway at home. Store all related materials, notes, photos, mementos (items taken from the site) and anything else related to the site in one place. These items can help you return to that thin place internally when you want to revisit it and draw on the spiritual energy there. May your spirit soar as you experience thin places.